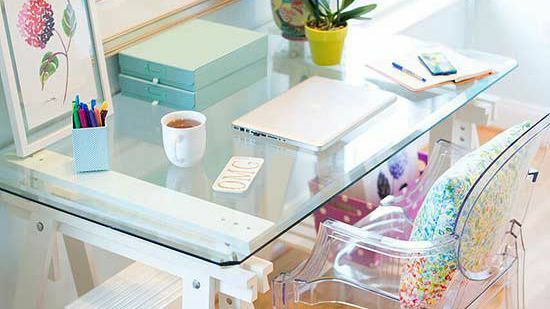 Learn how to develop an effective organizing system to handle the daily flow of mail into and out of your home. Stacks of mail arrive daily, often smothering entry tables, burying dining room sideboards, and consuming needed counter space in kitchens. 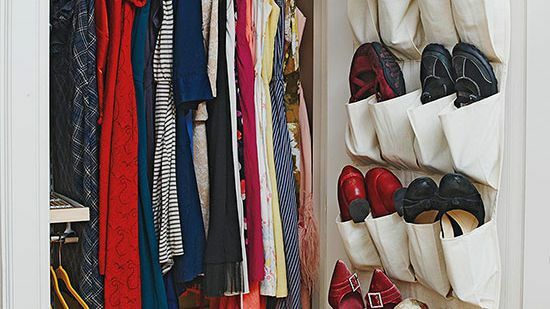 Not sure how to tame the clutter? Here are some ideas for handling the constant barrage of letters, circulars, broadsheets, and publications. The first line of defense against the assault of mail should be near the door you come in with the daily stack. 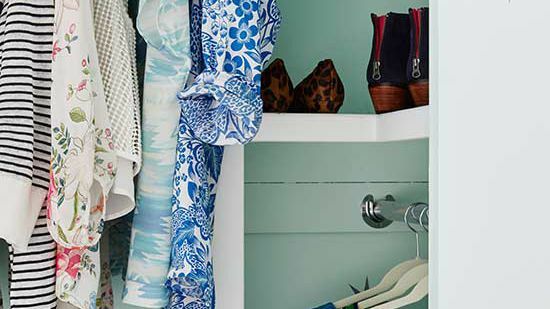 A mudroom offers plenty of space to stow letters along with car keys, coats, hats, and more. A collection of built-in shelves in this mudroom provides a spot to store a couple of days' mail accumulation before the pile gets moved to a final sorting station. If it works in the post office, why won't it work for you? 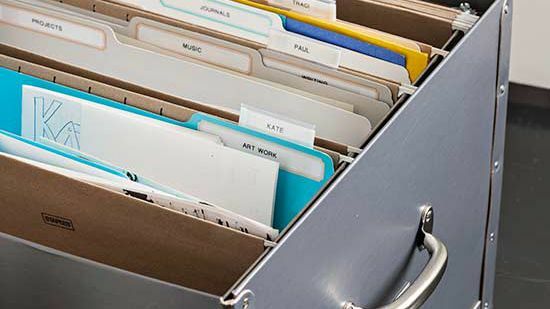 Cubbies take the headache out of sorting and organizing mail and ensure no items get lost in the shuffle. 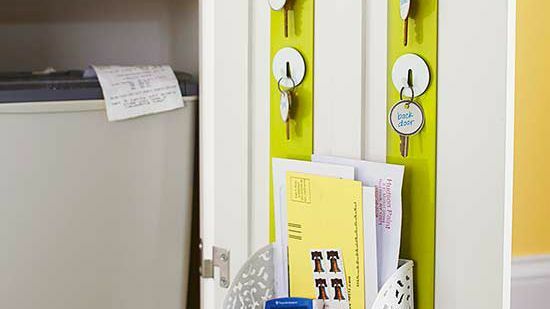 Use bold vinyl stickers or decorative labels to designate a mail cubby for every member of the family. 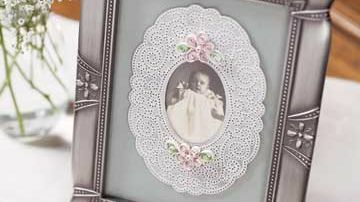 Transform cards -- items that often end up stuffed into a drawer or cluttering a desktop -- into works of art. Hang strings of twine along a stretch of empty wall space and use tiny clothespins to attach pretty greeting cards and postcards. 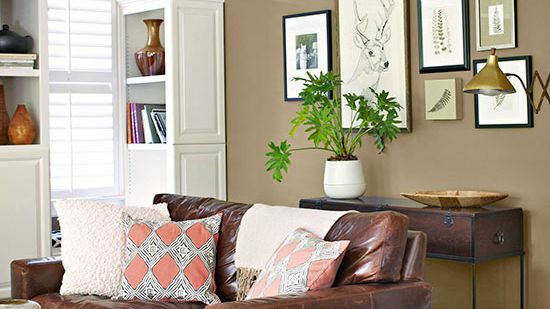 Switch out certain pieces as the seasons change to create a dynamic display. Create "in" and "out" boxes in the location where you typically dump mail. 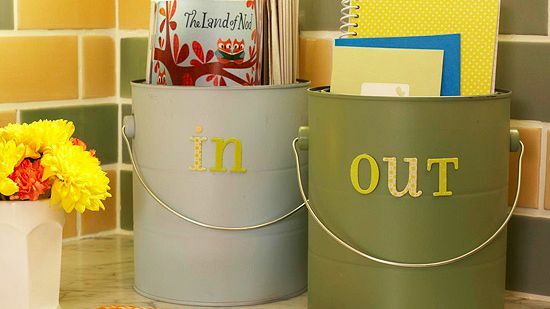 Empty paint cans from a hardware store, painted and labeled with vinyl stickers or scrapbooking letters, keep piles of mail grouped and ready for sorting. To make sorting even easier, be sure to toss out any junk mail immediately. 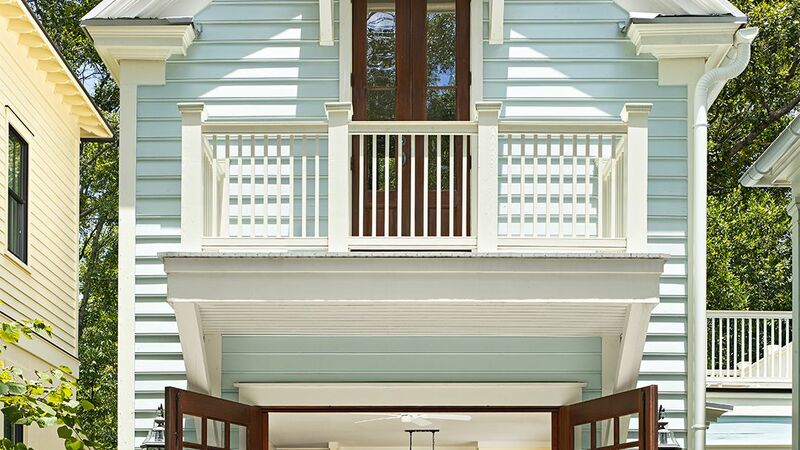 Mailboxes offer convenience both outside the home and inside. 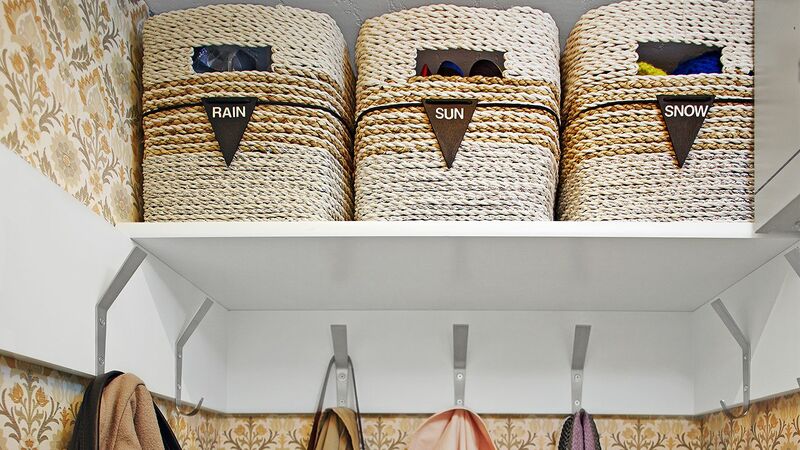 Bring one into your home create a mail storage center in the entryway or mudroom. 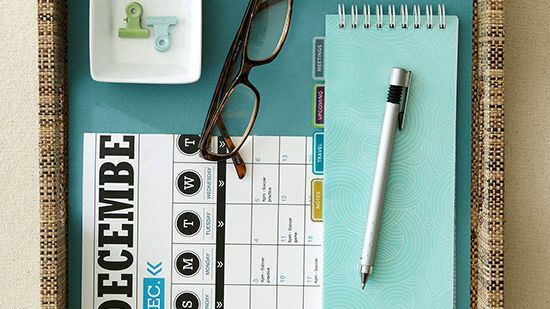 To add a splash of personality, line the inside of the lid with patterned scrapbooking paper. A small magnetic hook on the outside of the box provides a handy hang-up for keys. If space allows, assign each family member his or her own mail storage center. That way, all family members will be able to find what they need quickly and efficiently. 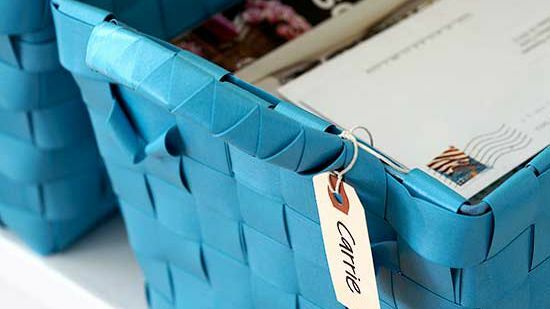 A collection of woven storage baskets corrals bills, letters, magazines, and other important papers. Small name tags on the front of each basket designate who items belong to. 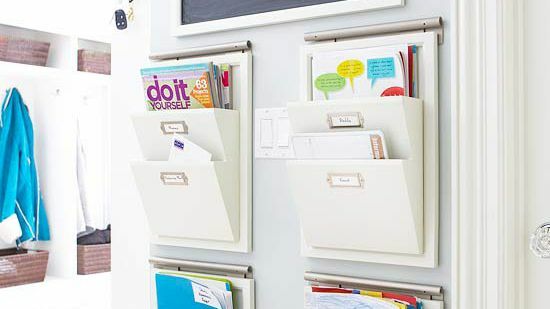 Tame clutter-causing mail piles by creating individual cubbies for each family member. 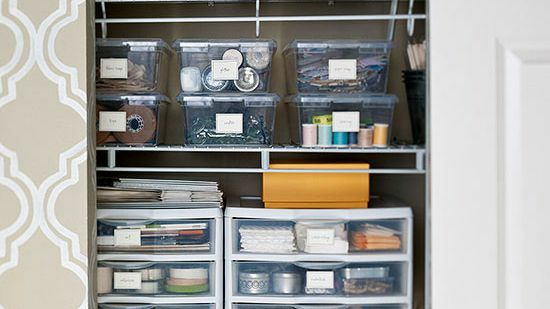 Label each cubby with a name or a function (such as "outgoing mail") to ensure that nothing gets lost in the hectic mudroom shuffle. 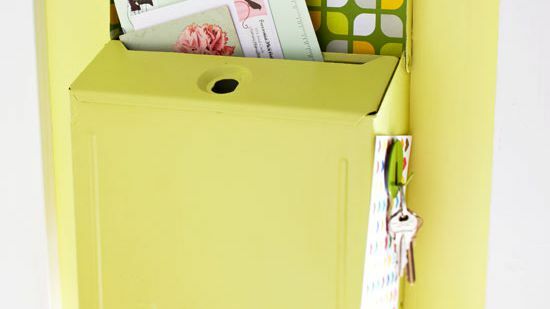 For little ones who don't get much mail, use the cubbies as a holding zone for their important school papers. 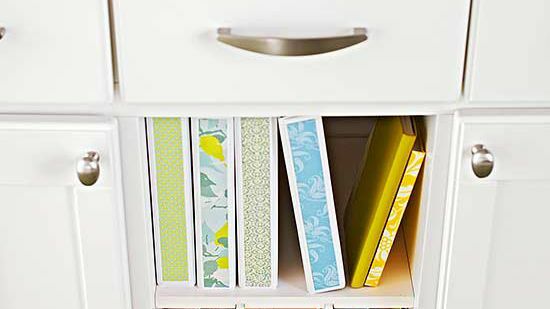 Place any items that need to go back to school into a folder that children can grab on the way out the door. 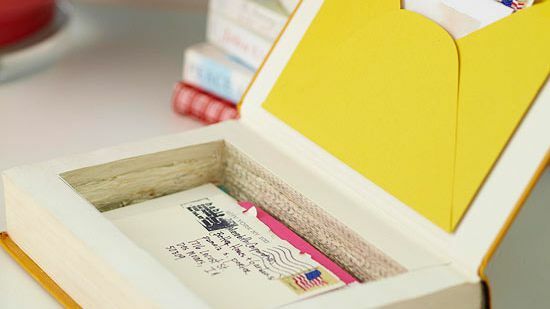 Create a keepsake box to house important pen pal notes or letters using an old book. Apply crafts glue to the inside back cover and close the book. When dry, apply glue to the book's edges and let dry. Mark a rectangle on the first page about 1 inch from all sides. Use a crafts knife to cut along the mark and through several pages. 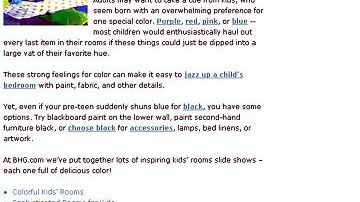 Remove cut pages and continue removing pages to the desired depth. 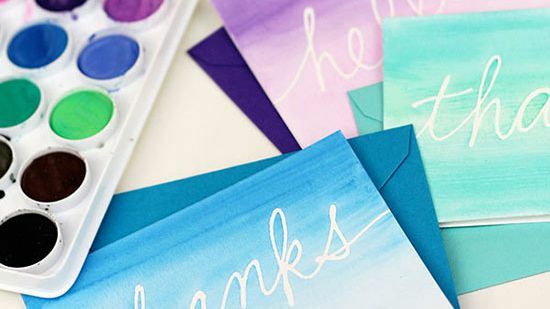 Seal the cut pages with glue. 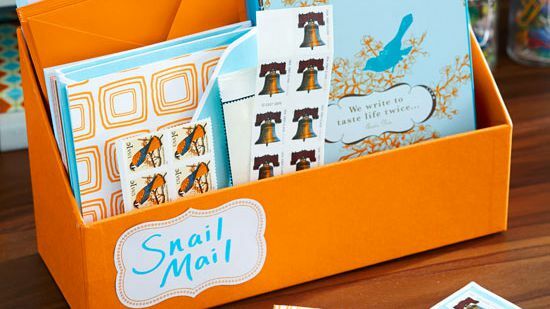 Not enough wall space for a mail sorting system? 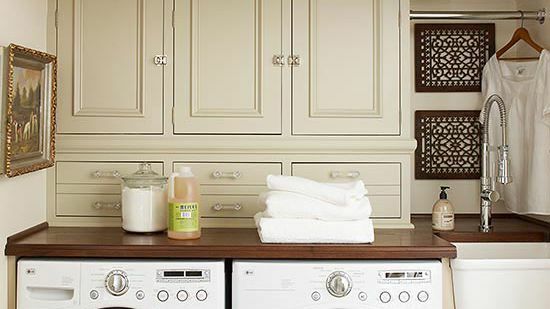 Take advantage of behind-the-door storage in a freestanding or built-in cabinet. 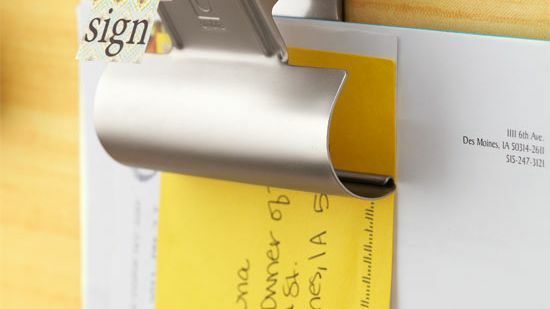 A decorative metal caddy attaches firmly to a pair of metal strips hung on the back of this door and offers hidden stow-away space for outgoing mail. The metal strips also provide a spot to hang small keys that would likely get lost in a junk drawer. 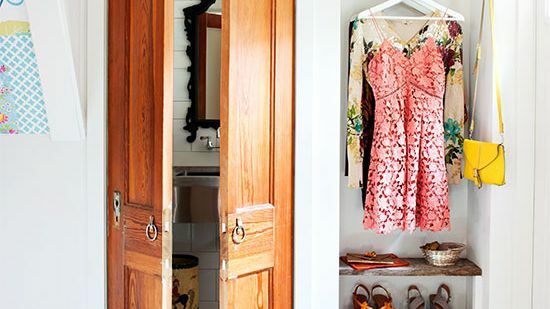 Surprisingly, open storage can often make an entryway feel less cluttered. 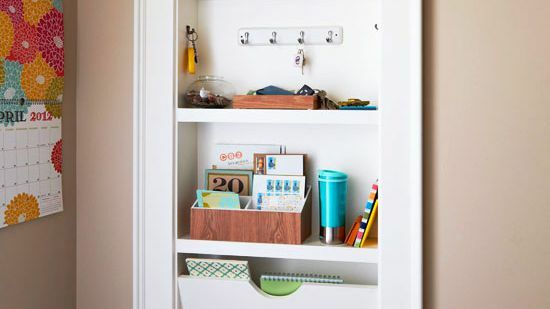 Oversize wall clips keep important bills and papers visible and within easy reach at all times in this mudroom. 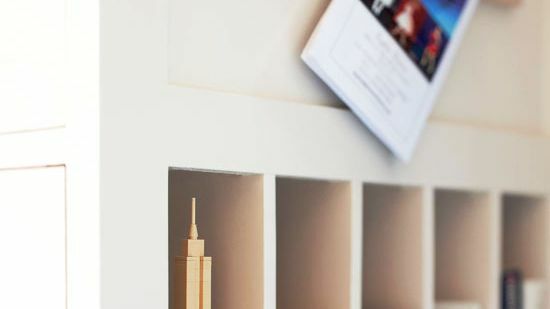 Keeping important items on display ensures you won't wait until the last second to send in that bill or sign that permission slip. 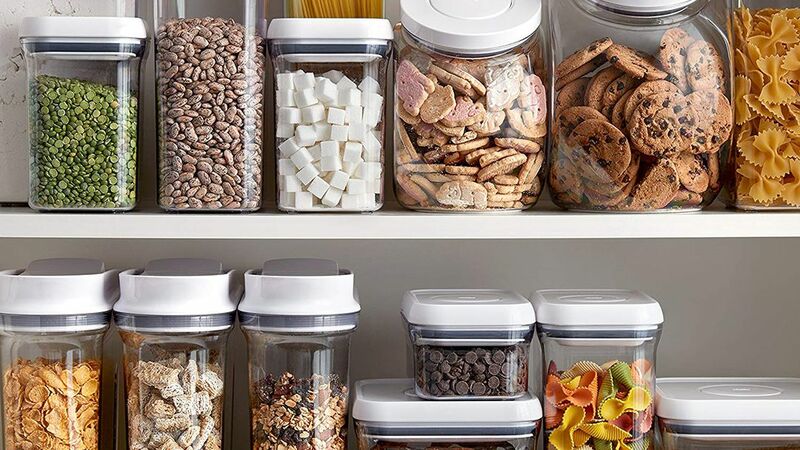 Labeling each wall clip ensures items always end up where they belong. 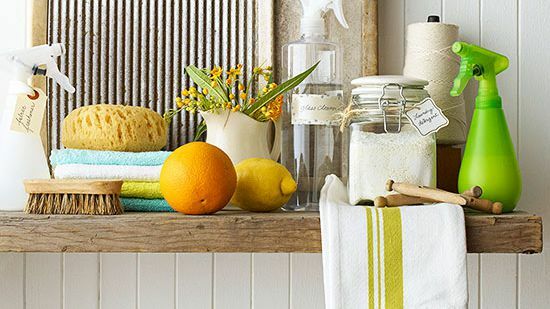 Even simple sorting solutions can have a big impact in a small space. 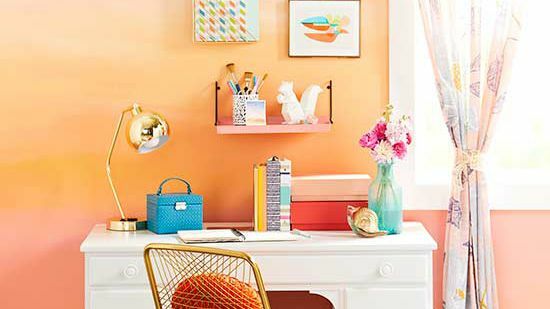 In this mudroom, playfully patterned buckets sitting atop a storage bench corral a barrage of daily mail. 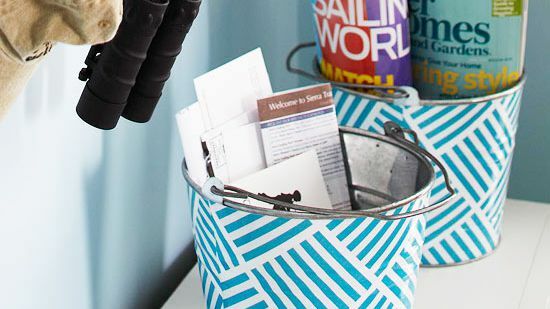 One bucket offers space to store magazines and newspapers, while the other acts as a drop zone for bills and other envelopes. Kitchen cabinetry outfitted with cubbies offers storage space for a daily influx of mail and ensures that items don't end up cluttering needed counter space. 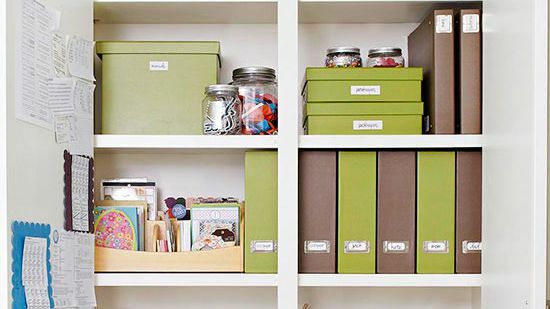 Designate a cubby for each family member, or use the cubbies to sort mail by type and size. 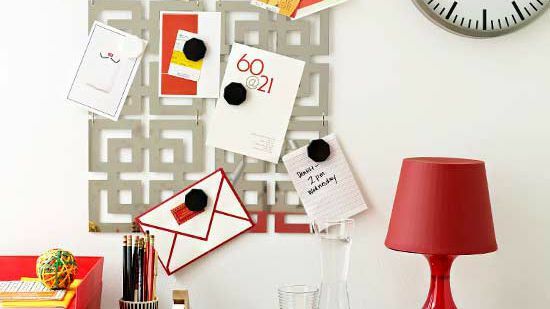 A corkboard hung above the cubbies displays important notes and reminders.